Dezeen podcast: in this podcast for the Design Museum in London architect David Chipperfield talks about an exhibition of his work, which opened at the museum this week. In the podcast, Chipperfield describes his architectural background and what informs his approach. Works on show span his early UK commissions up to major recent projects, represented primarily through models and drawings. The exhibition continues until 31 January. 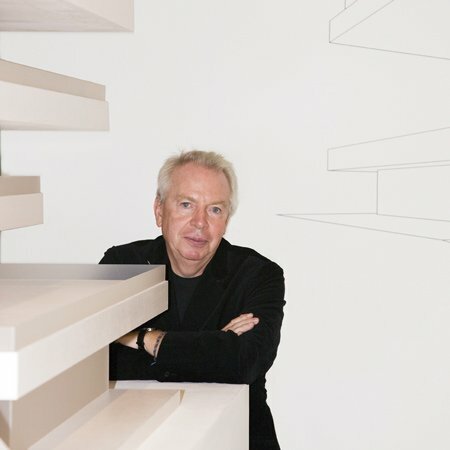 One of the most important architects working today, David Chipperfield’s architecture uses concrete, brick and wood to create awe, beauty and meaning with an appealing clarity. His beautifully crafted buildings, whether small scale private houses and shops or large scale public buildings and civic plans urge the user, or the passer by, to enjoy them. This major exhibition of Chipperfield’s work will span his early UK commissions including the acclaimed River and Rowing Museum in Henley-on-Thames, which sits in the wetland meadows subtly poised between the traditional and the modern, as well as the recent Museum of Literature in Marbach, Germany, winner of this year’s Royal Institute of British Architects Stirling Prize for Architecture. An intense and yet restrained building, it has been described as “a shrine to the soul of a literate nation”. Important public commissions for the new Hepworth Museum in Wakefield and the Turner Contemporary in Margate will also be on display.